The Mojo’s are a unique and versatile combination of vintage Strat and P-90 pickups. They are, very literally (and usually surprisingly), truly P90’ish in character. I say they’re 50/50 but the tone is in the ear of the beholder. The tone is also in the amp and the style of the player. The Mojo’s are made to cover a wider variety of tone-scapes. They can be sweet and chimey, they can quack in the 2 & 4, or they can be raunchy and grinding like a P-90. Set them low for a little of both or raise them up to warm them up and make them really growl. The screws are fully adjustable for the best of all worlds in string balance. 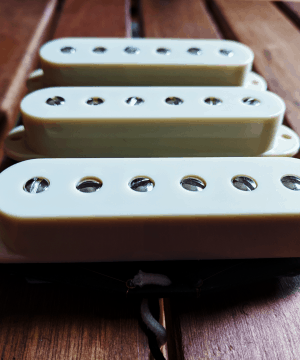 A single Mojo is an excellent choice for a bridge pickup to cure the problem of an icy bridge tone. 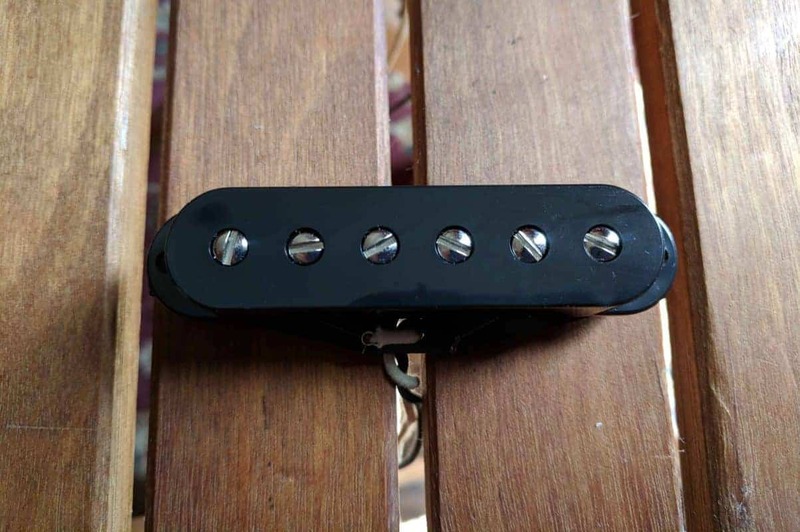 Likewise a single Mojo can be used in the middle position to give you several additional tonal options on a five-way switch or use one in the neck if you need something rowdy for lead or rhythm. Like P-90’s these pickups have a mid accentuation. I threw a set of these in my solid rosewood strat looking for more rumble. Holy crap! 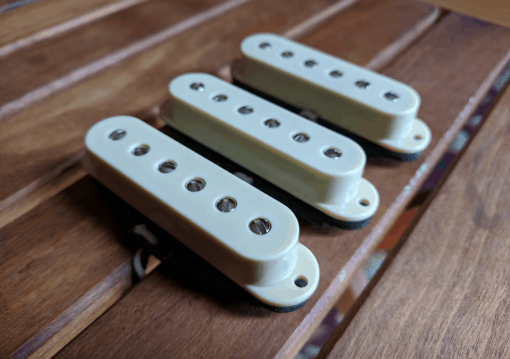 Not only are they more dynamic and full sounding, but they also still have that strat like quality in the 2 & 4 position, but with a p90 like warmth. I would absolutely recommend these to anyone looking for bigger sound out of their strat. First, they are actually P90 like, and I was surprised. Second, they rock! 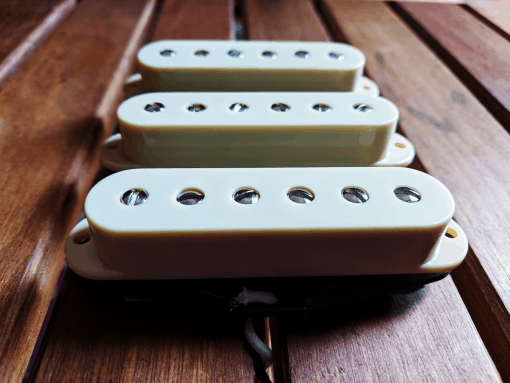 Third, they are those things and are also really smooth Strat pickups. I wanted something a little less ‘shiny’ and a little more ballsy and these were exactly what I wanted. 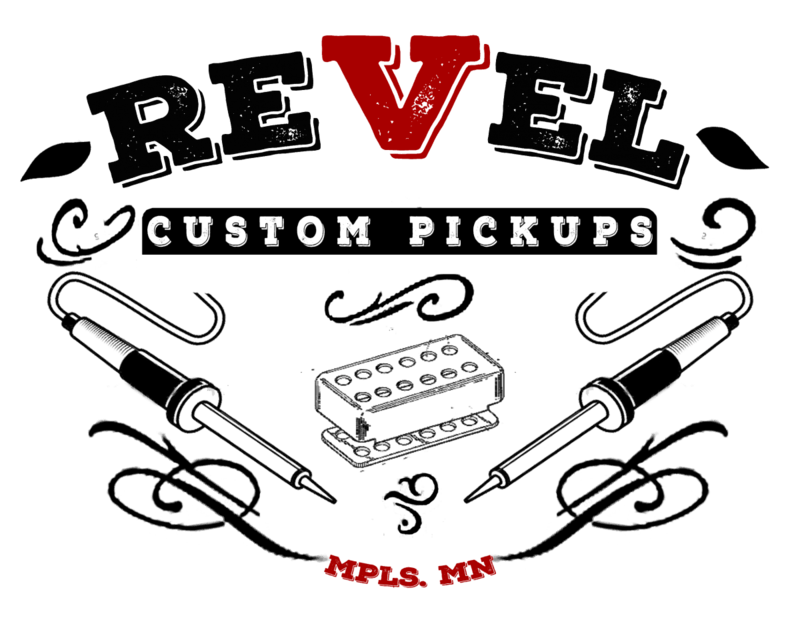 I’ll be ordering more Revel pickups.